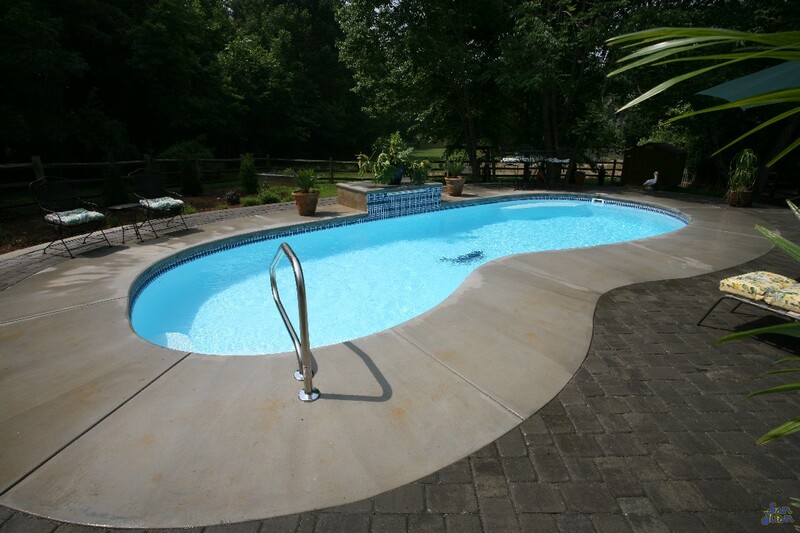 The Manatee pool is known in our industry as a “Kidney Shape” design. We’ve paired this classic kidney shape with a beautiful set of curved entry steps, located in the shallow end. Enter into it’s pristine waters and you’ll find a fun & modest deep end of only 5′ 10″. 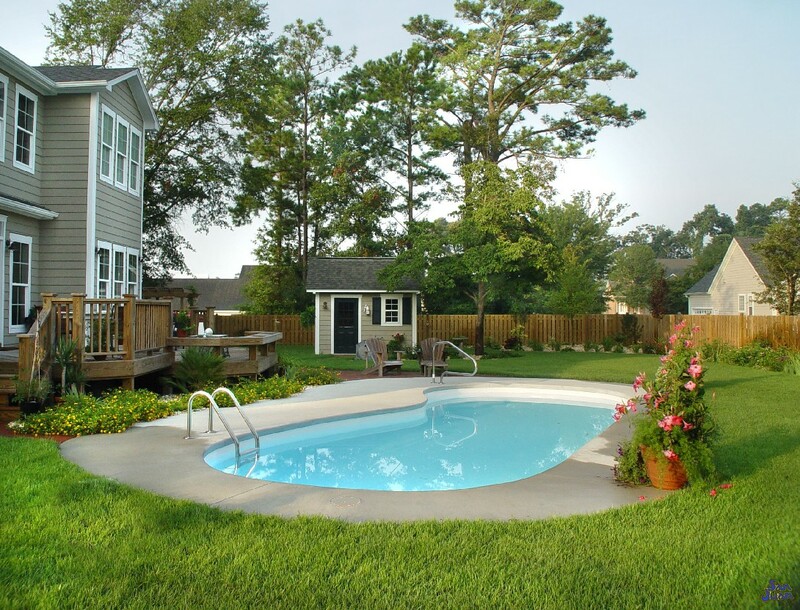 It’s a perfect pool for the San Juan Pools family and we’re sure you’ll love it too! Ladies and gentlemen, please turn your eyes to follow the attractive curves of the Manatee pool! 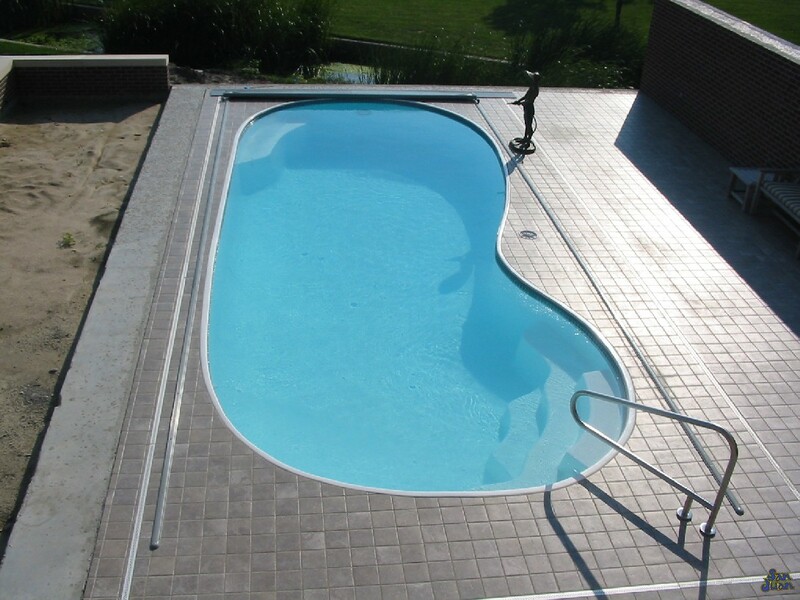 This fiberglass pool is part of our Kidney Shape classification and provides plenty of swim room for multiple swimmers. Coming in at a modest length of 32′ 10″, the Manatee is sure to fit snugly in a medium sized backyard. We suggest pairing it with a traditional brick or concrete pavers to create a breathtaking scene in your own backyard! After you’ve taken enough time admiring the Manatee, it’s time to coast out into it’s beautiful blue waters. Here you’ll find plenty of room for fun water games and swim activities. Alas, when it’s time to rest and relax for the evening, we’ve installed plenty of bench seating in both the shallow and deep end. You’re sure to find plenty of eventful activities enjoy while coasting in the Manatee pool. We admire the Manatee for it’s classic Kidney Shape design as well as it’s modest deep end. Reaching a total depth of only 5′ 10″, the Manatee is a great swimming pool for intermediate swimmers. It also works exceptionally well as a swimming pool for at home swim lessons. We designed the Manatee to be a pool that promotes rest while not requiring a great deal of energy from the swimmer. For this reason, the Manatee pool is very popular for families with developing swimmers. 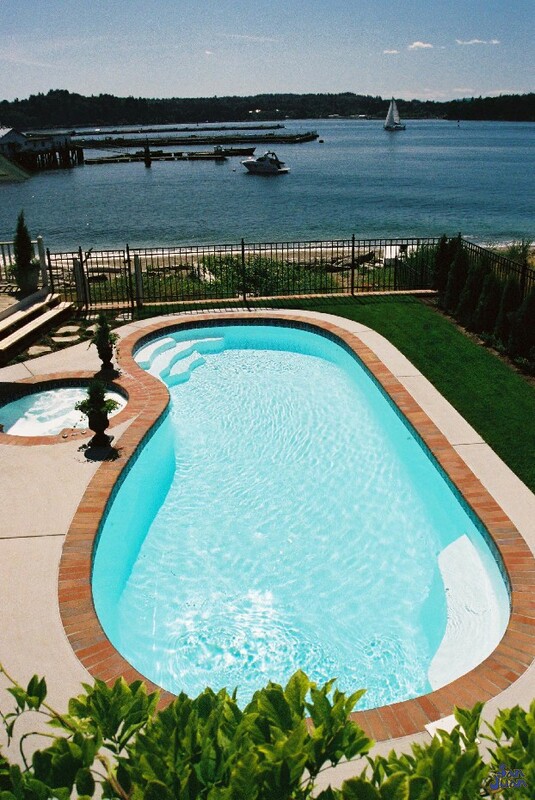 If you’re curious why we refer to this fiberglass pool as the Manatee, the reason is simple. It’s a little brother of our Manatee Deep fiberglass pool. 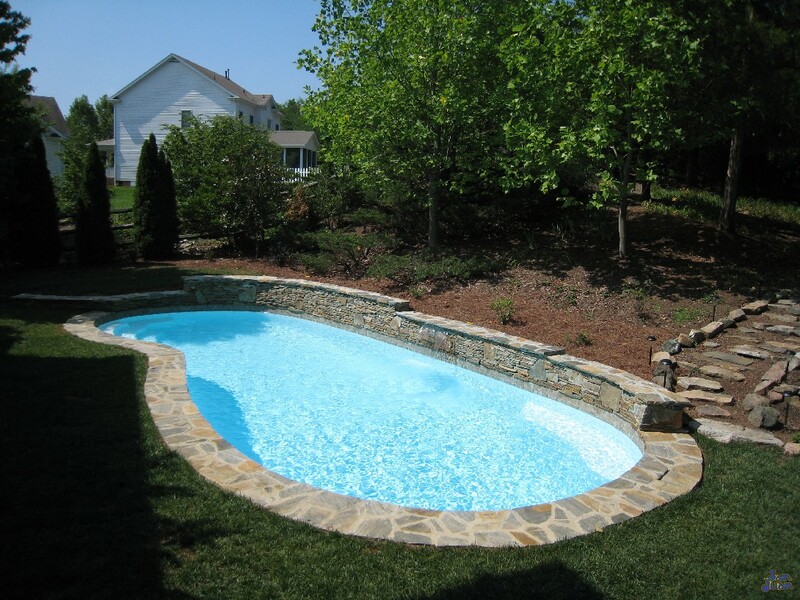 This fiberglass pool shape is so popular that we’ve essentially developed it twice: with both a shallow and deep end. Because of it’s high demand, we are constantly pulling more Manatee (shallow) & Mallow Deeps off of our production line and preparing them for shipment. 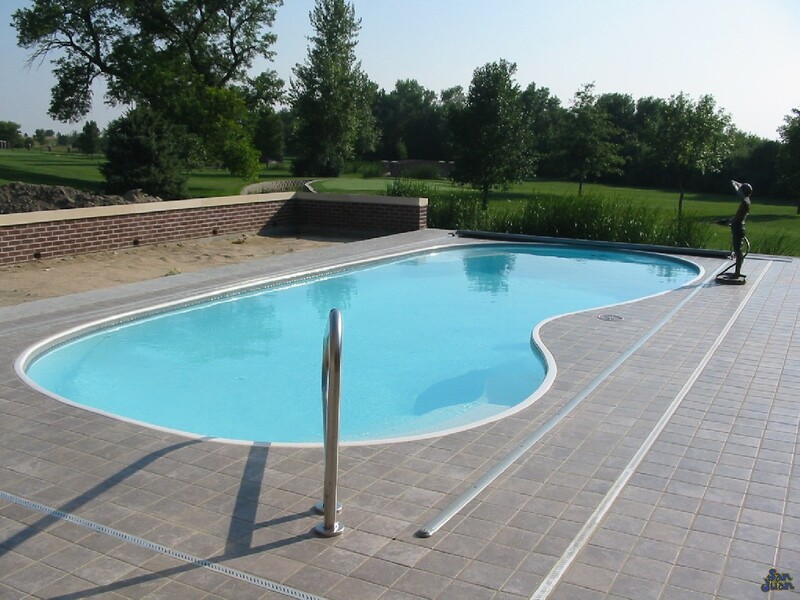 This has been an exceptionally popular fiberglass pool for us and we’re proud to have it as part of our lineup! In summary, the Manatee is an exceptional fiberglass pool for intermediate swimmers. It’s designed for low to moderate exertion and designed more for relaxing than rigorous swimming. Couple these characteristics with it’s modest length of only 32′ 10″ and you’ve got a pool designed for a large consumer base. Lastly, we’ve packed this beautiful swimming pool with a curved shallow end set of entry steps along with a deep end bench seating. These spaces are perfect for relaxing in the great outdoors as well as resting between swim sessions.